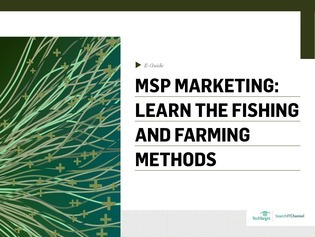 Unfortunate as it sounds, the old methods for MSP marketing simply don’t work anymore. To capture new customers, today’s companies are going to have to try well…. New methods. Read this expert-guide to discover the 2 styles of marketing that marketing expert Angela Leavitt explored at the MSPWorld 2017 conference. The fishing method, an 8 step process that uses enticing content to capture leads, and the farming method which is a more long-term strategy, but could have bigger payoffs.